How Long is Long-Term? 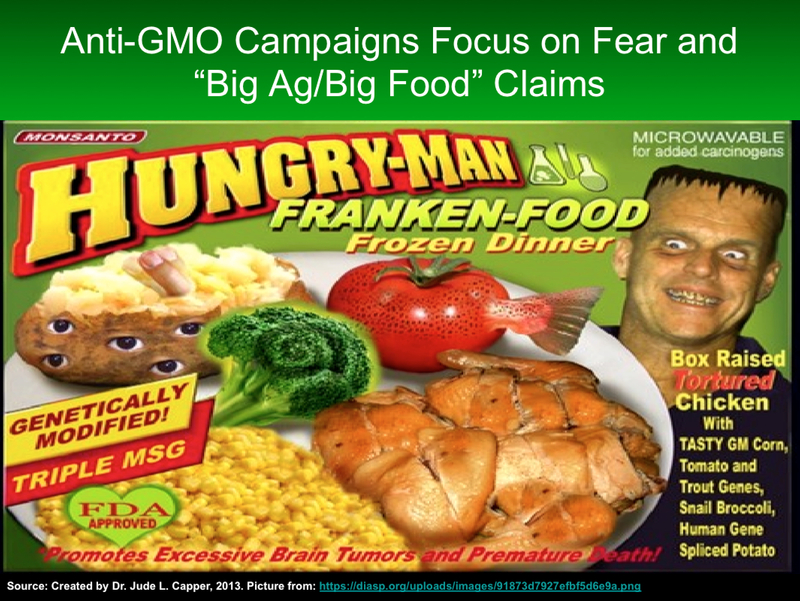 Are We in Danger of Sacrificing Food Security to Satisfy GMO Paranoia? In other words, we’re trying to prove a negative – show me that there’s no adverse effects whatsoever and I’ll believe it’s ok. Utterly impossible. Can you be absolutely sure that the screen you’re reading this on isn’t causing constant, minute but irreparable damage to your eyes? Water, that essential nutrient without which humans, animals and plants would die, can kill through drowning or intoxication. Even oxygen, without which brain cells are irretrievably damaged in just 10 minutes, causes seizures and death when inhaled at high pressures. Should we ban these, just in case? Perhaps we should take a long-term approach to all new technologies. iPhones were only introduced seven years ago, yet many of us spend considerable amounts of time typing on them, or holding them to our ears when they’re not in our pockets – what health-damaging consequences could these shiny new toys confer? What about the now-ubiquitous hand sanitizer? Once only the province of hospitals and germophobes, it’s now sloshed around by the gallon. Touted to kill 99.9% of harmful bacteria – what harm could those chemicals be doing to our fragile physiology? I’ve yet to meet anybody who, when scheduled for quadruple bypass surgery, demanded that the surgeon only used techniques developed in 1964; or a type I diabetes sufferer who would only use insulin produced from pigs, as it was originally in 1923. When I was treated for breast cancer, I jumped at the chance to be part of a clinical trial involving a new monoclonal antibody treatment, regardless of the very slight risk of heart damage. In medicine, we seem happy to trust that science has the answers – not surprisingly, we prefer to survive today and take our changes with side-effects tomorrow. With regards to food however, the opposite appears to be the case. The first commercial GMO (the Flavr Savr tomato) was introduced in 1994, GM corn and soy were commercialized in 1996, and not one death or disease has been attributed to any of these crops. Yet the “what are the long-term effects?” concern still persists. So how long-term is long enough? 10 years? 20? 50? Should we keep researching and testing these crops for another 80+ years before allowing them onto the market around the year 2100? If your answer is yes, just pause for a moment and ask your parents, grandparents or even great-grandparents what life was like during the Great Depression in the USA, or World War II in Europe. Consider what life was like when food was scarce or rationed, when, for example, a British adult was only allowed to buy 4 oz of bacon, 8 oz ground beef, 2 oz each of butter and cheese, 1 fresh egg and 3 pints of milk per week. Those quantities of meat and cheese would only be enough to make two modern bacon cheeseburgers. By 2050, the global population is predicted to be over 9 billion people. I don’t relish the idea of explaining to my grandchildren that they live with food scarcity, civil unrest (food shortages are one of the major causes of conflict) and malnutrition because public paranoia regarding GMOs meant that a major tool for helping us to improve food production was removed from use. In the developed world we have the luxury of choosing between conventional, natural, local, organic and many other production systems. However, we’re in danger of forgetting that not everybody has the same economic, physical or political freedom to choose. If you gave a basket of food to a family in sub-Saharan Africa subsisting on the equivalent of $30 per week, would they refuse it on the basis that the quinoa wasn’t from Whole Foods, the meat wasn’t organic and the tofu wasn’t labeled GMO-free? When we have sufficient food being supplied to everybody in the world to allow them to be healthy and productive, we can then start refining the food system. Until then, the emphasis should be on finding solutions to world hunger, not forcing food system paranoia onto those who don’t have a choice.